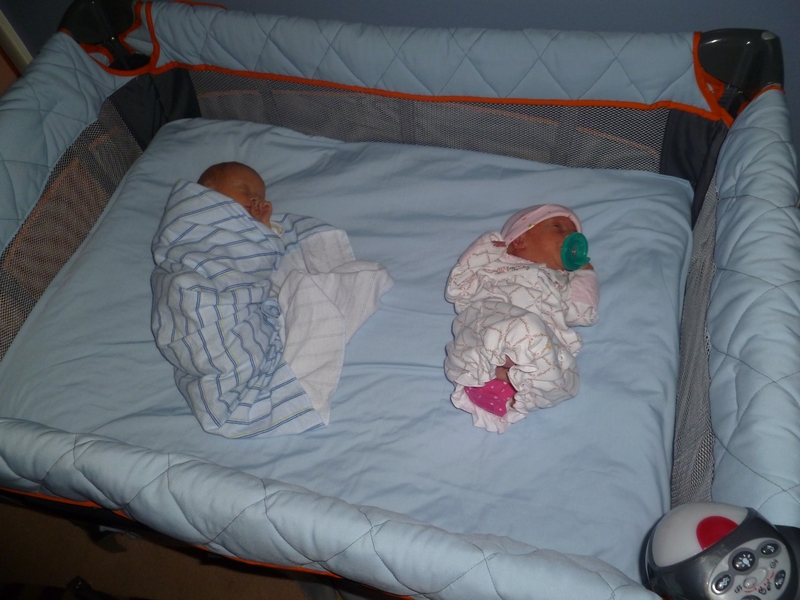 How We Deal With Twins That Basically Never Sleep | Hold On Daddy's Coming! I remember the sleepless nights all too well! Hopefully Jimmy will get the hang of sleeping well. Liam would cry for long stretches while Caroline slept through it all. Sometime I’ll have to show you a video of Liam climbing out of his crib and into Caroline’s to steal her toys. Twins are fun, man! I’d love to see the video! In our house, Riley is the bully who steals toys. Youre so right…twins are fun (except at night sometimes..). My twin boys are 2 and they are still not sleeping through the night. Hubby and I just spent 2 hours trying to put each of them to sleep. I pray it gets better soon. Headaches from lack if sleep are beginning to take their toll. Oh no! Fortunately ours are doing better, but the early wakeups are still hard to get used to even after almost two years. Its so frustrating to put the babies in their crib and have them start screaming. They go down much easier now, but I remember when they didnt. I feel for ya! Hang in there! Oh gosh, you are bringing back so many memories. My wife is impressed you’re able to do a load of laundry every three days – we were doing it weekly. The lack of sleep is so hard and there’s nothing quite as frustrating as sleeping for 20 minutes at a time. Now our kids are two and sleeping through the night, so I have a different perspective now. You have a great attitude. Keep it up! Great post. Why do they have the ridiculous expression “sleep like a baby?” Babies are HORRIBLE sleepers. We have twins, and they NEVER sleep. It’s not really a figure of speech they really don’t sleep.